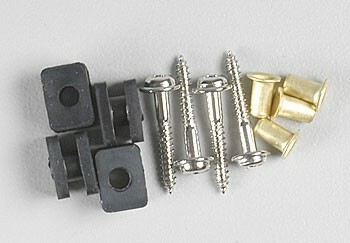 The most common hardware set included with many Hitec servos. 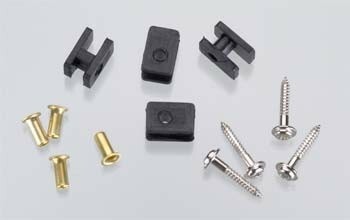 4 each rectangular grommets, brass plated bushings and screws. The hardware set included with 1/4 scale Hitec servos. 4 each large rectangular grommets, brass plated bushings and screws. Long Servo Eyeletts OD .121", ID .103", L .276". 20 pack. Actual color may be nickle or brass. 20 servo eyelets made from brass. Made from brass. Actual part may be natural brass or nickle plated. OAL .176", .120" OD, .104" ID. Servo Grommets, 20 pack. 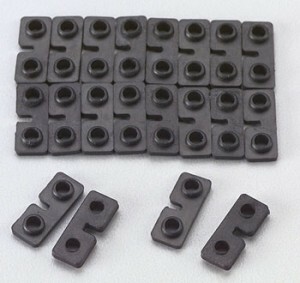 Top and bottom strip type grommets. Can be used on many standard size servo. 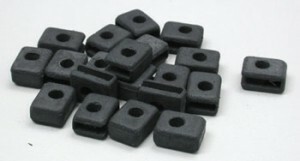 20 pack of common Futaba retangular servo grommets. 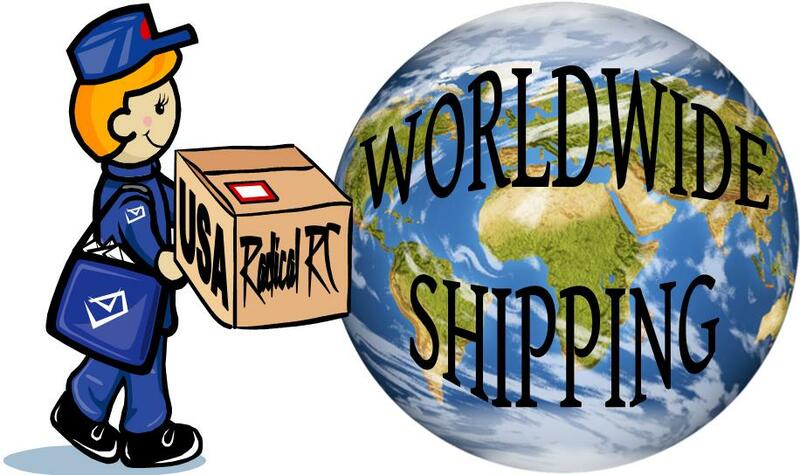 Fits many servos including but not limited to: S28, S128, S29, S129, S30, S130, S31, S131, S32 & S132. Deep style retangular servo grommets, 20 pack. Fits above servos and possibly some others.